Once your SSL certificate has been signed and issued, we will send you an email message that allows you to download the signed certificate and our intermediate certificate bundle, both of which must be installed on your website. Download the intermediate certificate file. If the button at the lower left of the Keychain Access window is labeled "Show Keychains" then click the button to show the Keychain list. Select File->Import. Navigate to and select the intermediate certificate file that you downloaded in step #2 above. Enter your password when prompted to authenticate to modify the keychain. 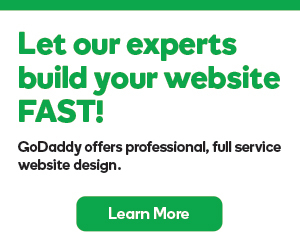 Verify that the "GoDaddy Secure Certification Authority" appears in the list. Close the Keychain Access application. Launch the Server Admin tool and connect to the server where you want to install the certificate. Highlight the server node in the SERVERS list. Paste the text of your certificate into the field. Be sure to include the "-----BEGIN CERTIFICATE-----" and "-----END CERTIFICATE-----" header and footer lines. Click OK.
After installing your certificate as well as the intermediate CA certificate, you can assign this certificate to the desired services (Web, Mail, iChat, Open Directory, etc.). In the appropriate settings pane for the desired service, select the certificate that you have just installed and then click the Save button.